How do I look for a newspaper or a journal? I can't find any shelf mark. What now? Who can help me with the literature search? How can I print or save the search results? How can I get a borrowed book? How can I get books from another branch? Where can I see what I have borrowed/ordered? How can I extend the loan period of my books? I don't know my passwort (anymore)? My username is locked. What should I do? Will I be notified when something is ready for me? When can I get my books to be collected? I have found something in OPAC. How can I get it? I have ordered a book from the stacks of the central library in Eichstätt. When will it be ready for me? When does Holiday lending begin in Eichstätt? My email adress has changed. What should I do? My adress has changed. What should I do? How do I cancel interlibrary loan orders? OPAC will not start on my computer. Why is that the case? I am constantly "kicked out" whilst using OPAC- why? I cannot load full texts. What can I do? Type the title of the journal into the "Title(words)" field and set the "Publication type" field in "Limit Search" to "Journal, Periodical, Serial". Then you can start the search. In the hit list, you can immediately recognise from the pictograms whether it is the print edition or whether the journal is offered in an electronic form (online access, CD-ROM). If the journal is available online via the electronic journals library (EZB), you need to click through to the full text. Are there typos in the query? Are the search terms in the correct search field? Is the search term correctly formulated or written? Automatic completion can be helpful. Have you tried to "truncate" (Word stem search)? Replace lots of characters with the truncation character "*"; replace exactly 1 character with the truncation character "?". Have you typed in an abbreviated first name? Search without the first name and narrow the search, perhaps with help of other search criteria (e.g. words from the title). Have you searched for an article? You can sometimes find these in the “Articles & more” tab. However, only part of the licensed items are covered here. If you have no hits, search rather according to the title of the journal or newspaper and refine the search by indicating the form of publication “journal, periodical, serial”. Is the sought-after title not in our catalogue? Via the "Union catalogue/Interlibrary Loan(ILL)" or Extend to Interlibrary loan tab, you can search in the Bavarian union catalogue and start an interlibrary loan order. Does this not work either? Send your questions to us via email. Of course, our employees at the information desk or at the lending desk would also be happy to help you further. I can’t find any shelf mark. What now? It is a work comprising several volumes. The shelf mark is only shown for the individual volumes. Please use the link "Display volumes". It is an online document. Please click on "Full text". You are not in the local catalogue (UB EI-IN/THI catalogue), but perhaps in the catalogue of the Bavarian Union catalogue. In order to continue the search in the OPAC of the EI-IN University library/THI, please click on "New Search". The work is not yet in stock, but rather "being processed", "under way". In this case, you must be patient until the work is listed in the catalogue, i.e. until a shelf mark is indicated. Are you looking for literature on a certain topic or are you not satisfied with the results of your search? 1. Ask at the information desk! Central library: Monday-Thursday 8:30a.m. – 5:00p.m., Friday 8:30a.m. – 4:00p.m. Wiwi branch library: Monday-Thursday 8:30a.m. – 5:00p.m., Friday 8:30a.m. – 4:00p.m. 2. Come to one of our tutorials! You will learn about how you can search correctly and efficiently in catalogues, bibliographies and on the Internet. 3. Ask an academic expert! Academic experts are responsible for the catalogue of their subjects. They are familiar with databases, bibliographies and other sources of information and have an overview of the literature scene. Furthermore, as academics, they know the problems of academic studies and can help you further with questions relating to searching for and sourcing literature. https://www.thi.de/en/service/university-library/contact/ or by telephone (0841/9348-2160). In addition, we can offer you individual support with searching for information and with all questions relating to academic work. Please arrange an appointment with us. Borrow up to 10 items from the reading room, 10 items from the text book collection, and 100 books from the Eichstätt stacks from the Eichstätt University library catalogue at the same time. A total of 100 volumes must not be exceeded. Borrow up to 50 items from the THB catalogue at the same time. If needed, please ask for exact figures at the information desks of the respective locations. If you need a book, which has already been borrowed by another user, you can reserve it for yourself. Reserving is only possible for books from the stacks (shelf mark 00/..., 01/...). Books from the reading rooms (reference holdings, text books and class books, media) cannot be reserved (please go to the information desk in these cases). Click on the “Reserve” button or in the individual hits display on “on loan until: ... “ or “Get document” and then on “Place a reservation”. If you are not yet registered, a registration form will now appear into which you must enter your username and your password. After selecting a place of issue, the desired book will be reserved for you (please click twice on "Confirm"). When the book is returned by the other user, you will receive a notification via email (therefore please give us your email address). The reserved book is then available for one week for you to collect. Your library identification card is valid for loans in all branches (under different conditions). You can only loan books from a branch in the same place (Ingolstadt) directly at the respective library. However, if you need books from a branch of another location, you can use interlibrary loans if you are logged in (“Union catalogue/interlibrary loan” tab, select the desired title and order). Loaning and returning are then possible at your closest branch. Before your first interlibrary loan order, please check in your user account (Link "My details") whether the correct branch for your interlibrary loan orders is entered. The branch entered here is the place to which the books ordered using the interlibrary loan system will be delivered. You can see your user account in OPAC. To do this, click on the link "My details". If you are not yet registered, a registration form will now appear into which you must enter your username and your password. Click on "Register" and your user account will open. You will be shown your loans, orders, reservations, fees and ordered interlibrary loan books. Please extend the loan period of your books by yourself by carrying out an Account extension under "My details" in OPAC. If you are not yet registered, a registration form will now appear, into which you have to enter your username and password. Click on "Register" and you will reach the overview of your current loans with the possibility of Bulk renewal (=button). Extensions are possible 1 week before the end of the loan period at the earliest. Media, the loan of which cannot be extended, will be displayed with the reason as to why you are unable to extend the loan. If, exceptionally, extending the loan period is not possible via OPAC, then please contact the supervisory staff in the reading room or go to the lending desk. Unfortunately, we are unable to take extension requests via telephone. However, you can send your extension requests to the lending desk in writing (via letter, fax or email). If you do so, please state your user number and the media number of the books, the loan of which is to be extended. I don’t know my password (anymore)? Your password is – if you have not yet changed it – your date of birth in a four figure numerical sequence: 2 figures for the day, 2 for the month. E.g. : Birthday is the 12th May: the password is therefore 1205. If you have forgotten your password, please use the button "Forgot your password?" (a new password will then be sent to you via email) or go to the respective information desk with your identification. The account will be unlocked when all remaining books have been returned and proof of payment has been given to the lending desk. You can find detailed information on the back of the reminder letter. If you have any questions, please go to the employees at the information desk or the lending desk. Please note that some of these notifications, depending on the setting of your email provider, could inadvertently be classed as spam. This service is therefore without liability and does not absolve you from the obligation of payment if the loan period is exceeded – even if you did not receive an email. Monday - Friday 8:30a.m. – 8:00p.m. Monday - Sunday 6:00a.m. – 12:00p.m. As a member of the Technische Hochschule Ingolstadt, collections during the extended opening times are also possible (not applicable to limited viewing orders). In the hit list, click on the title highlighted in blue. In the "Copies" field, you will find the information regarding the "Branch" in which your desired title is available. The description then gives you the exact location within the branch. You must go to the branch if you want to use the book. In Eichstätt, there is also a so-called "Stacks collection (Eichstätt/central library stacks)"; this is "available for order" (and you must order it out of the stacks), or "available for reservation" (if the desired title has already been borrowed). I have ordered a book from stacks of the central library in Eichstätt. When will it be ready for me? During the lecture-free period, you can borrow items from the reading rooms. The start of holiday lending will be announced by a notice and on the homepage. The loan period is 4 weeks. Students of the KU and users from the city and its surroundings can borrow up to 10 items from the reading rooms at the same time. Extensions are not possible. Journal volumes and specific items, such as bibliographies and dictionaries, are excluded from holiday lending. Holiday lending does not apply for the economics branch library in Ingolstadt and the library of the Technische Hochschule Ingolstadt. Here you have the possibility to enter, change or delete email addresses. Please notify the EI-IN University library or the library of the Technische Hochschule Ingolstadt about every change of address immediately. Please have a look at the "Technical information" on the start page of OPAC and, if necessary, information on maintenance or system failures under "Current" on our homepage. If this information does not help, the employees at the information desk would be happy to help.. I am constantly "kicked out" during an OPAC session - why? Unfortunately, the OPAC is quite sensitive when the browser’s “Back” button is used to jump back to a previous display, such as one from a hit list of full matches. This sometimes causes OPAC to crash, which is indicated, for example, by the message “Your catalogue session was ended. Please restart the page to continue searching.” or “An error has occurred!” If possible, please only use the navigation links that are provided in OPAC itself. To return to the hits list from the full display, for example, you should use the link “Back to hit list” above the hits display or to the right with “More options”. If possible, the “Back” button of the browser must never be used. Please note: The message “Your catalogue session was ended because of inactivity. Please restart the page to continue searching.” also appears then when you have not clicked on anything in the current OPAC session for longer than 30 minutes. Non-used OPAC sessions are ended by the system after 30 minutes to make server resources available for new sessions. When you are using the OPAC and encounter problems that cannot be solved by the measures described here, contact the staff of the IT department at any time: ub-edv@ku.de. I cannot load full texts (E-books, e-articles etc.). What can I do? Texts available electronically are provided in OPAC’s title display by clicking on the button "Full text". Generally, the use of e-books or e-journals requires the acquisition of a license by the library. Licensed titles are accounted for in OPAC. + Check via Tool-Tip (move slowly over the button with the cursor) whether your institution has licensed the title. If this is not the case, then you will have no access to the book. + If the title is licensed for your institution and you are working from home, it could be that you have not launched the VPN Client that proves that you are a member of this institution. Does the term "VPN-Client" mean anything to you? – If not, please go to your information point. + The button "EZB Full Text" takes you to the "Electronic Journal Library" (EZB). Check whether the sought-after edition/year is licensed and thus unlocked (traffic lights: green, yellow or reddish yellow). If this is not the case for your desired edition, it is nonetheless worth checking whether the publisher makes any issues available for free. If you have no online access, have a look whether the hit list in OPAC displays a print edition for your library. If there is also no print edition, try the interlibrary lending system (subject to a charge!). + If you are working from home, the VPN client (see above) must be launched. Of course, it can also be that there are problems on the page of the information providers – please inform us if you cannot access an electronic text despite following the steps provided above. + The button displays a full text, but it does not load. Check whether there is a tool tip by moving the cursor slowly over the button. 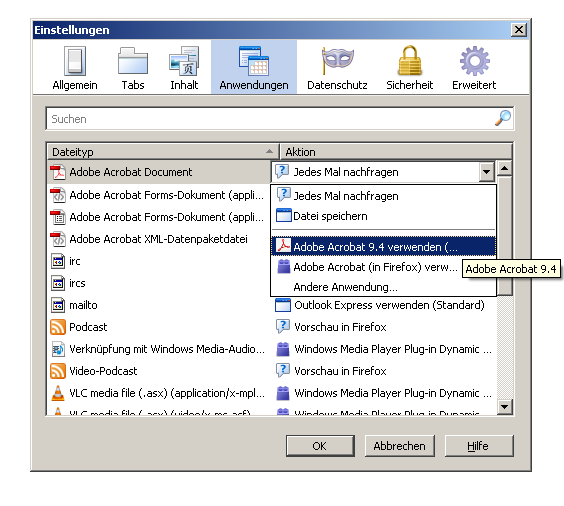 If it contains the message that it is a digital copy of the Eichstätt-Ingolstadt University library, which can be accessed via the digitalisation reading stations, then the text can only actually be accessed at these selected work stations in the central library (EG) for reasons of copyright. + Furthermore, these full texts cannot be printed nor saved at the selected reading stations. + Only one page of the text is visible – perhaps it is possible to turn the page on the screen? + Can your text be neither printed nor saved? This limitation applies more frequently to titles written after 1850 – copyright limits your possibilities here.